Hello Chickens! Is it Spring YET? Here we are still shifting back and forth from one warmish sunny day to three or four wintry gray days, but I'm trying to be hopeful that eventually Spring will arrive full force. In the meantime, I know you are all wondering how things are progressing here at the House. They roughed out plumbing in the future bathroom...this is the nook where the shower will go! The place looked like a disaster area, but there is method to all madness. Then they trenched around the whole perimeter, and laid in a pipe for the drainage system. This will ensure that you never (knock wood) have to read a blog post about a flood in our basment! They attached the plumbing system to an ejector pump, which will keep everything in the basement bathroom and laundry room flowing smoothly. Then they began to clear the decks a bit. And after putting a ton of river rock over the drain pipe system, they riveted this special drainage plastic to the wall covering the now-rock filled trench. They did a temporary frame so that we could check the size of the eventual shower. This resulted in Charming Suitor and I pantomiming basic shower activity in between the "wall" and the plywood, to ensure that it is deep enough to be comfortable. Then they did a little bit of wall framing! Since we are doing historically sensitive renovations here, anything that gets removed gets saved...these salvaged bricks are over 100 years old and still in solid shape, so we will keep them for future use. Our contractors have set up a little conference room/lunch room in the future wine cellar! That piece of stone is a huge limestone lintel we salvaged when we had to redo a doorway for better structural soundness, and it will eventually become the bench inside the new basement shower! With the hallway wall framing going in, we can sort of begin to see how rooms are going to shake out down there. And they are clearing out and prepping for the next few steps before we pour the concrete for the floor. This means building a temporary ceiling cage for building materials that cannot be stored on the floor until the concrete goes down. The electrician was here to run the wiring that gets buried in the floor over the weekend, and then this week they will be bringing in a load of pea gravel to level the floor, and then a few more steps and we can get the concrete trucks over here! We all agree that once the concrete floors go in, we will really begin to see the future life of the space. 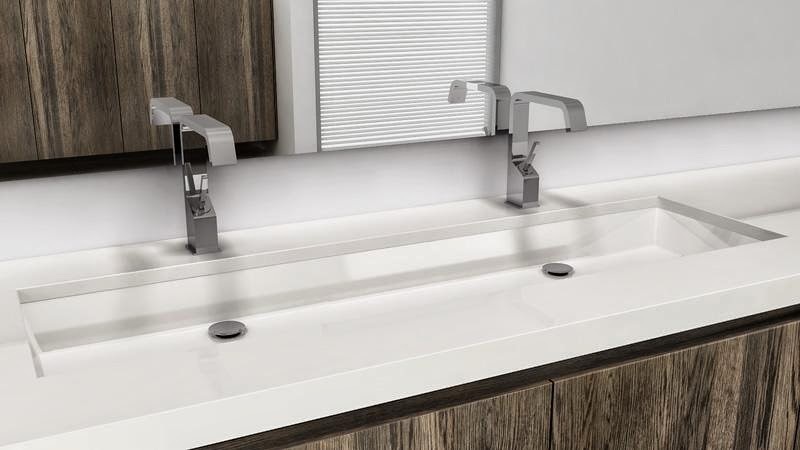 In other news, the gorgeous Wetstyle sink we ordered for the basement vanity arrived! Its still in the box for protective purposes, but we peeked and are SO EXCITED with the choice. Even though we are still months away from it getting installed, it is still thrilling for it to be in the house. And we've now made THIS twice and cannot recommend it enough. It is even great if you make it a day or two ahead and then reheat it. Delicious. Soooooo...what all was involved in "basic shower activity" practice? Teeheehee...snort. Sorry...I channeled a 12 year old there for a second. But typical me, as I scroll through all the pictures the one that jumps out at me is the wine cooler! Love it! Things are looking good! I can visualize how it'll look when it's all done. And those stone walls? Hello, gorgeous.